The possibility of small-scale urban commercial farming in Elk Grove took a step closer to fruition last night. Following an informational presentation, the Elk Grove City Council gave the City staff direction to pursue the proposal. West Sacramento could some be sprouting up in Elk Grove. 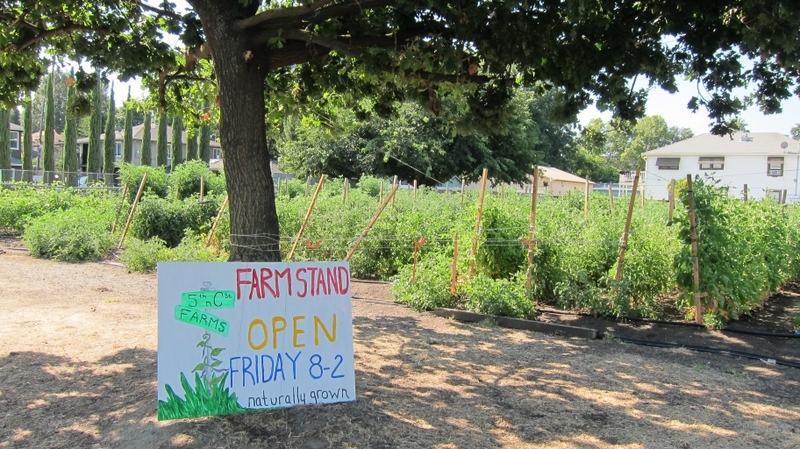 The idea of small-scale urban commercial farms in Elk Grove was first discussed at a March 2016 meeting of Elk Grove GRASP, a smart growth advocacy group. At that meeting, Mary Kimball of the Center For Land Based Learning, discussed how that non-profit organization has partnered with cities like West Sacramento to help people interested in commercial farming use vacant lots to launch their businesses. In West Sacramento, the CFLBL partnered with the city and helped launch several urban farming operations on parcels as small as a third of one-acre. As part of their agreement with West Sacramento, the CFLBL provides extensive training to new farmers to help guide them in the operation of a successful commercial enterprise. Currently, there are five operations in West Sacramento on previously vacant parcels. The size of the operations ranges from two-thirds of one acre to 3.3-acres. Aside from providing entrepreneurs an opportunity to enter commercial farming, the operations also address a problem that plagues many urban areas - so-called food deserts. Typically, the urban operations sell a significant portion of their products directly from the field to nearby customers. During their discussion, the Councilmen expressed overall support of the proposal. Councilman Steve Detrick who attended the March Elk Grove GRASP meeting with Senior Planner Christopher Jordan, asked for the item to be placed on the agenda and credited GRASP's Lynn Wheat for the idea. "I want to give kudos to Lynn Wheat," Detrick said. "She hosted a meeting that Christopher Jordan and I went to that sparked this." During questioning by Council Members on the item Jordan said the City staff has spoken with CFLBL. Jordan said the CFLBL told him they could assist in launching the program, but at this point does not have the resources to be a long term partner. After receiving public comments and direction from the City Council, the City staff will bring back a specific program for consideration. No date was given last night when the specific proposal will be presented. Mary Kimball of the CFLBL could not be reached for comment on Elk Grove's steps toward pursuing urban farming operations. Speaking after the meeting, Wheat expressed cautious optimism about the prospect of establishing this program. "I am encouraged by this because it is good for the community and it is more realistic than becoming a destination city," Wheat said. "I just hope the city is serious about pursuing this."